...I decided to bring the scent of fall right into my home with my FIVE MINUTE SPICED APPLE GOATS MILK SOAP! It's smells wonderful and was so easy to make that it only takes five minutes to put it together! Yep, you read that right! You can check out how to make it HERE. I am sooo ready for fall! Can you tell? And now...I want to see what you, our talented guests, have been up to, so let's get on with the party! Things are progressing at our house. At the end of this month we will have been living here for a whole year. So hard to believe! From most of my recent posts, you might be able to tell that I'm focusing on completing our family room. In fact, I completed the makeover of our entertainment center last week. 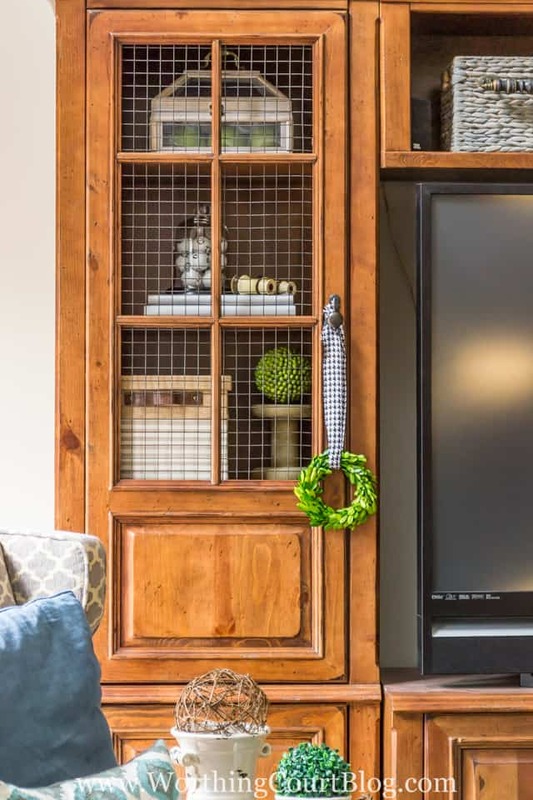 I changed all of the accessories that I had thrown in there as I was unpacking from the move, but the biggest difference is that I replaced the glass doors with cage wire. That one change along with different accessories is so much more my style. Here are a few features from last week's party. 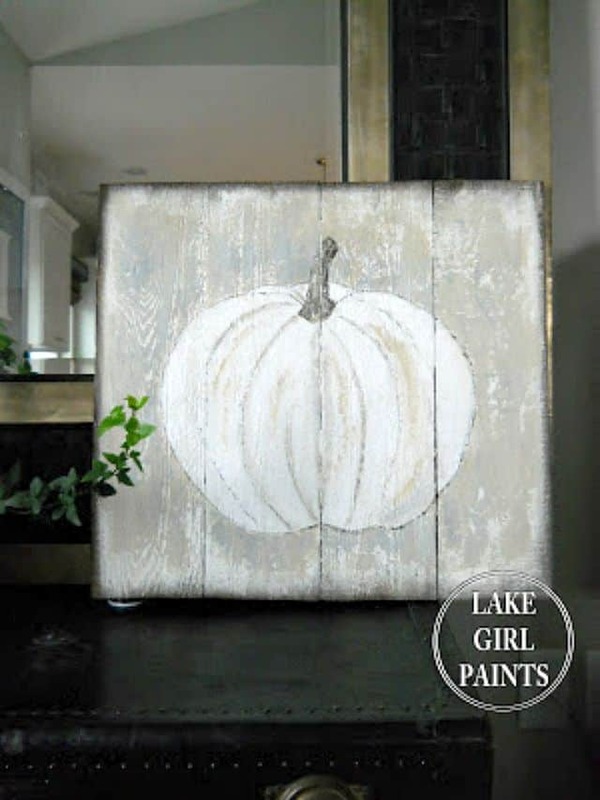 Deb from Lake Girl Paints shared her adorable Rustic White Pumpkin Art. She shows how you can paint one for yourself. 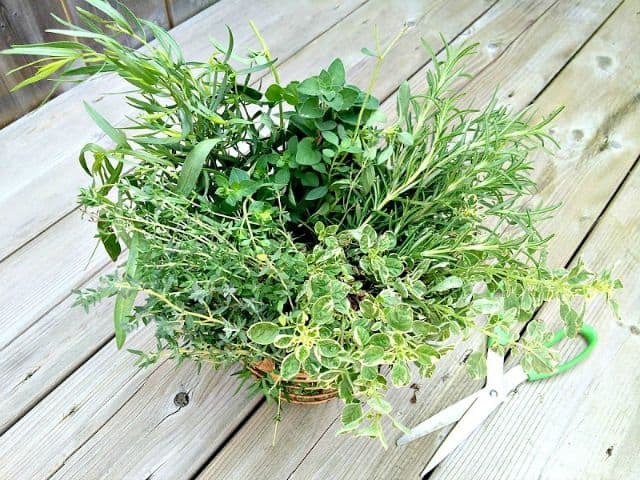 Mei Ann from Pure Bliss shows us how to Save Herbs for Winter Months - Drying and Freezing. This will come in very handy now that we're nearing the end of the outdoor growing season. 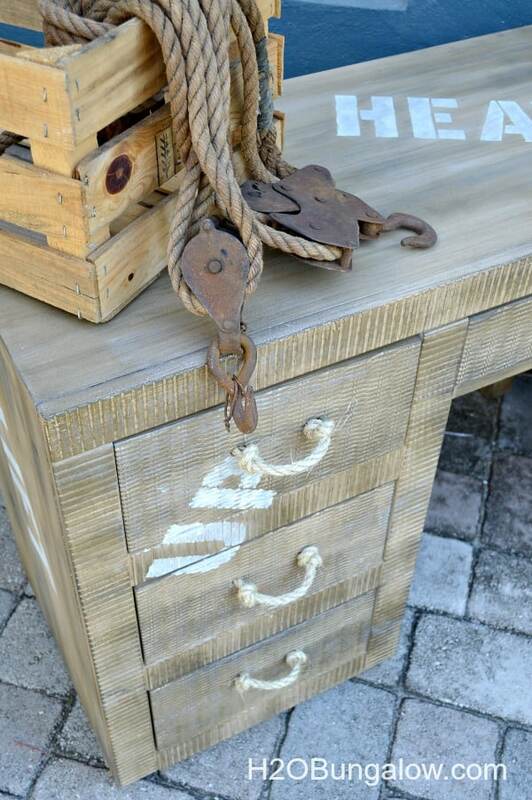 Wendi from H2O Bungalow shares her Faux Painted Cargo Furniture. You absolutely won't believe what it started as. 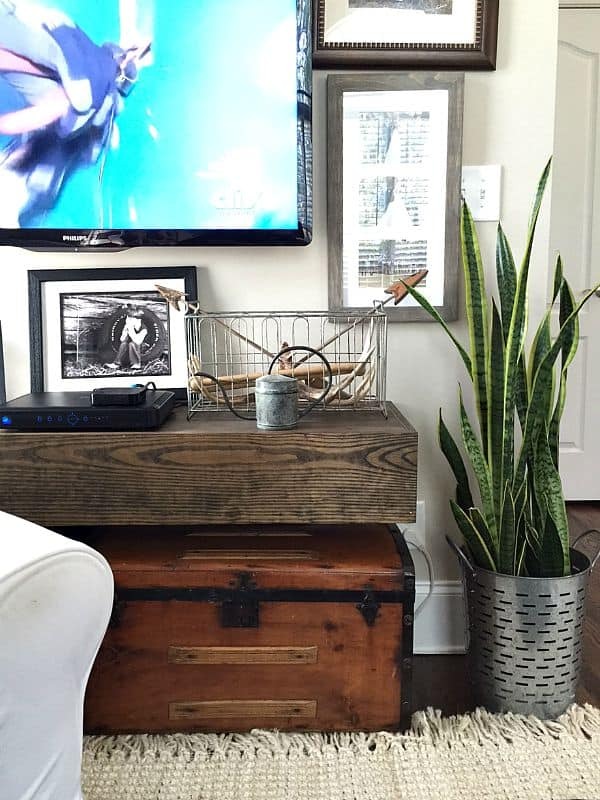 Debbie from ReFresh ReStyle shares How to Build a Floating Shelf. Use her tutorial to build one for yourself - any size to fit anywhere that you need it. 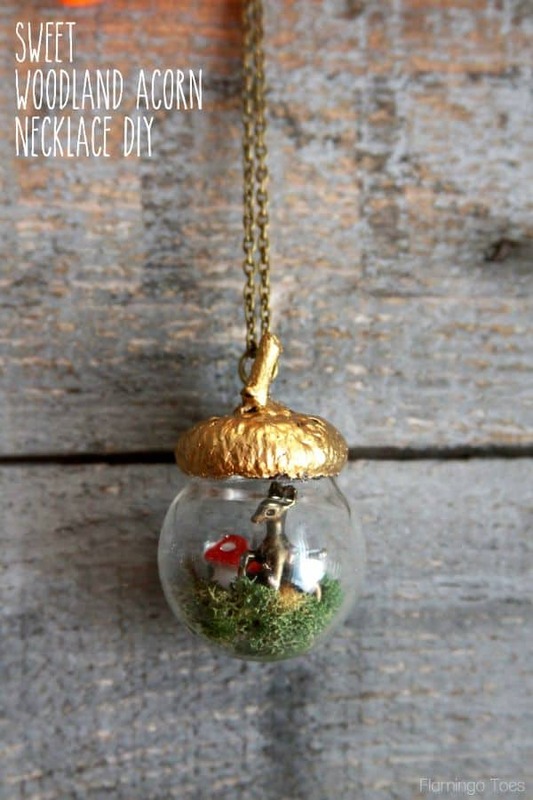 Bev from Flamingo Toes shared how to make a Sweet Woodland Acorn Necklace. Oh, how adorable! 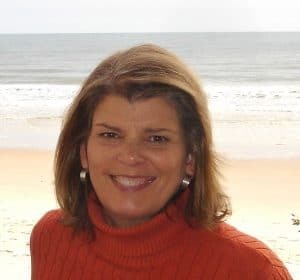 Thanks so much for hosting Debbie ! Lovely party, thank you so much for hosting!